Sprint announced this morning that the LG G Flex – the insanely large phone with a flexible display – will arrive in stores on February 7 for $299 on-contract, but can be pre-ordered today through January 31. It should also be available online on January 31 if waiting until the 7th of next month doesn’t sound possible. If you pre-order the device from now to January 31, Sprint will toss in a free Quickwindow Folio Case ($59.99 value). We spent some time with the G Flex during CES and certainly came away impressed by the idea of a curved POLED (Plastic OLED) display. However, a 6-inch display with only a 720p resolution is not exactly what we’re looking for. Give us a POLED curved display that runs 5-inches and you may have an incredible experience, especially if it flexes and acts as durable as the name suggests. But if you go with the G Flex, LG expects that you’ll enjoy an IMAX-like experience when watching movies, should see incredible battery life with the phone’s new curved battery, and won’t have to worry about scratching the back of the phone thanks to its self-healing back. 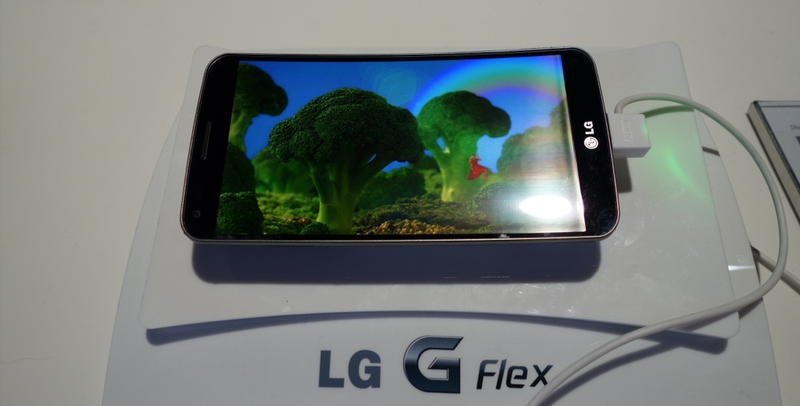 The G Flex will arrive at T-Mobile and AT&T at some point in Q1 as well. Verizon is not expected to carry this phone.